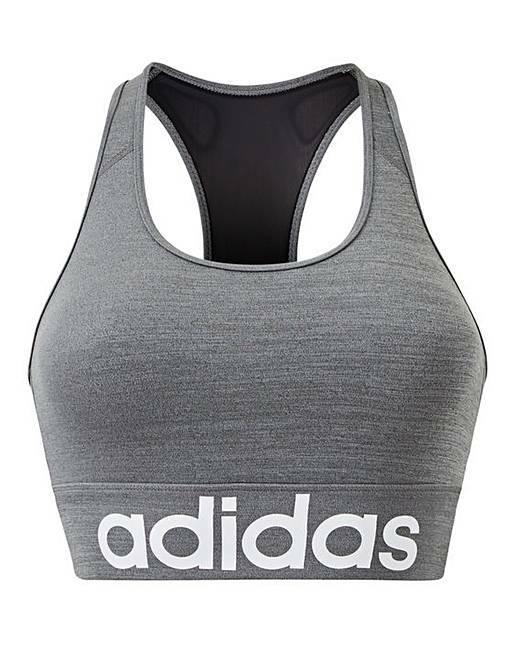 adidas Design 2 Move Bra is rated 1.4 out of 5 by 5. Rated 1 out of 5 by Andrea from Bad design As a large chested person I found that the bra didn’t really have any cup space meaning my breasts were just squashed out through the arm holes. Rated 1 out of 5 by Lous from Extremely small Bought this in a size larger than the Adidas clothes I wear as I know sports bras are often small. Cannot comfortably get over my head with 1 arm in so no chance of it actually fitting me. Rated 1 out of 5 by Hannah from Poor sizing I'm a size 20, so I bought the 20/22 size. I couldn't even get it over my shoulders! The fabric is incredibly stiff and the sizing is definitely wrong here. Very disappointed - it feels like a size 12.